Wall to wall platforming in Minecraft! This mod adds wall jumping and double jumping to the game. Wall Jump: While wall clinging, keep holding W and let go of LSHIFT to wall jump. Double Jump: Optional mid-air jump that you can use to your advantage. Any suggestions / feedback / bug reports are welcome! I have testet your newest mod update of Walljump with Forge 1.12.2 version and it works fine. Only the Double Jump work not. It give the Config and I have make true but I go in my map in survival Jump with space tab and will in air jump press, the jump work not. Please fix this problem. Works for me. Maybe another mod is causing a conflict? Or maybe your character needs food. Anyhow, I've fixed it to be consistent with wall clinging. You now only need a food level above 0 to double jump. I like the mechanics that this mod add to minecraft. I think it would be great if you add animations, including when you grab to a block an look around. 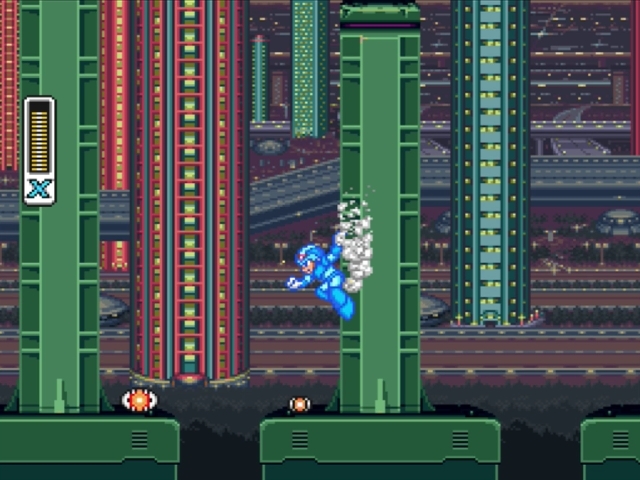 Just like in megaman X! I had a couple suggestions; one practical and one just for fun. First is to make the wall cling separate from the wall jump, that way you could crouch when in front of the wall to cling, then jump off the wall instead of releasing crouch. the second has to do with the double jump. I think it would be fun to double jump after a wall jump. Just a couple ideas I had. i love the mod as is, but would like to these implemented. SUGGESTION: You should add a config option that lets you lists the block(s) that you can only wall jump on. If the option is left blank it just works as default. You should update your mod description page then! If I hadn't seen this comment, I would've probably not downloaded it. anyway to turn off all features except double jump and increase it to triple jump? (I'm Mexican so I can afford the joke: v). I would love to see this become a baubles slot! If you're taking suggestions, it'd be kinda neat in my opinion if surfaces exposed to rain are slipperier - like, maybe if a player is under open sky and it's raining, they use a much shorter slide delay or even start sliding immediately? I feel like that'd be kinda neat since it'd still be possible to climb but it'd be a lot trickier. If you'd be willing to implement something like that I'd love to see it. Either way, this is a really awesome mod and I'm enjoying it a ton so far. It makes movement so much fun! 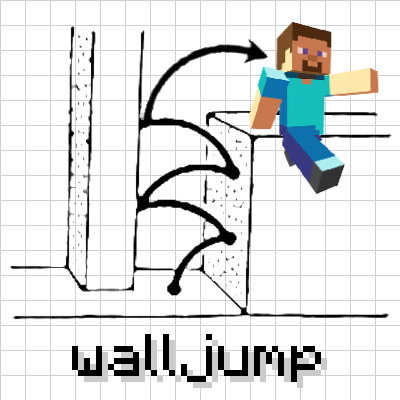 - a configurable "max fall time" before the player becomes unable to cling to walls, to prevent you from cheating your way out of fall damage by catching a wall just before you hit the bottom. - Baubles/other in-game method to earn better walljumping capabilities; charm/winged boots that let you double jump, claws/spike boots that let you cling to walls for much longer without sliding, etc.